If you're on facebook and have an interest in asian fashion, the chances are you have come across what I would call an asian designerwear copycat group/fanpage. There are hundreds of them out there, all promising to make you a designer dress for a fraction of the cost being charged for the real thing. Imitation is the highest form of flattery, and any designer knows their outfits are winners when people make copies of them. 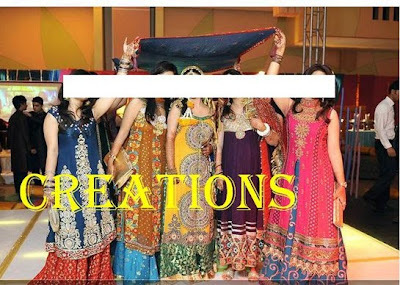 Whether you agree or disagee with tailors and seamstresses copying asian outfits to order from magazines and catwalk shows, I have to have a rant about these facebook groups and why I can't stand the way they operate! My main gripe with these copycat dressmakers, is copyright infringement. In their photos albums you will find a whole host of beautiful images, from catwalks and magazines, and slap bang in the middle of these photos you will find their big fat logo - to the point where it obscures the outfit itself! No acknowledgement is given to the original designer, the photographer, or the source of the images - essentially the owners of these groups are passing off the designs as their own creations! Ok so stealing (or borrowing/whatever you want to call it) images from fashion shows and from magazines to sell your knock-off product is one thing, but using people's personal photos takes things to a whole new level! The two photos above are examples of images I've seen posted in some of these asian designerwear facebook groups. I think you'll agree with me these are definitely personal photos and were not intended to be used for the purposes of selling some outfits. Does it make it ok because they covered up the faces? I don't think so! Imagine if you found a photo of you and your friends being used in this way, or worse still your wedding photos being used like this! Can you really copy an asian outfit with all its detail from a single photo? I can't say I've ever commissioned a "copy" of an outfit, or ordered from any of the copycat groups on facebook, but we've all seen how different an outfit can look in person compared to in a photo. How on earth can these copycats deliver? And if they do have an album showing the original dress and the copy they've made, how can you trust that it's even their own work? These groups are obviously very popular with some boasting thousands of facebook "fans", perhaps more in other countries than in the UK. I'm definitely a fan of asian fashion shopping making the move to online and I wish some of the established UK asianwear retailers sold their stock online, however in my opinion these facebook groups are NOT the way to do it. We as a designer studio in the UK come to know of theses counterfeit people everyday! Innocent consumers have no idea of the real product or the original designer, so they can only see a beautiful outfit listed on a designer website with a price 3-5 fold compare with a counterfiet Facebook group or international web sites from India or pakistan with fraction of a price! Consumer get confused and can not tell the difference between original and fake so they go for cheaper optionand get ripped. And when they receive the outfit in 6 to 8 weeks time they get an outfit that have no comparison with the original. 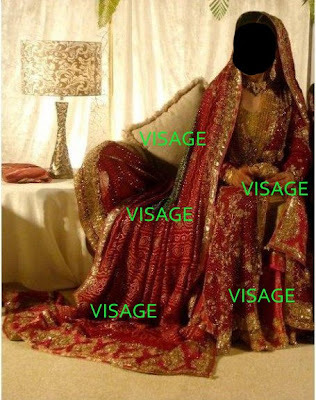 We get clients who order their bridal outfits from these web site they come crying to re order for real thing, they can only learn by waisting their money !! Our advice is to all those who opt for cheaper prices should consider if they want that particular look , go for the original designer and get your dream outfit! 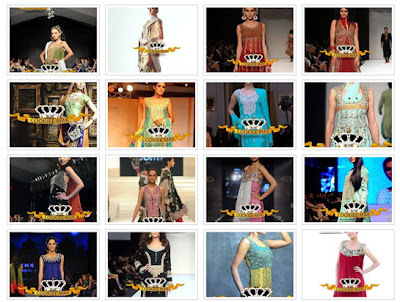 If you have a limited budget, some of the designers will have some other outfits available in your budget. A cheaper outfit by a designer will look good on you rather than a expansive outfit copy from a cheaper counterfiet group or web site. We all should not encourage these fake people , Facebook groups or website, we should name and shame them! Note for you fashion booger , when you list or promote a web site, should investigate their authenticity! Check out for example "Bargello"!! @anon...are you saying bargello is a counterfeit site? Thanks for the info on Bargello - I agreed a link exchange with them a long time ago which is they they are listed on here...perhaps time to review and remove! I had an inkling their outfits were copies but at the time I guess I was fooled by the clean/professional look of their site and back then my knowledge of asian designerwear wasn't what it is now! Having had a look just today in their "new arrivals" section I've spotted quite a few images from the 2010 Pakistan Fashion Extravaganza in London which I posted here on asianfashionblog.co.uk a few months ago. The background of each photo has been blurred and the photographer Shahid Malik's logo has been removed! Well I agree if buyers are fooled into thinking that these are originals that's fair and should not be practiced at all. My question is how can someone spend over $500 worth or dress without even investigating? I am in this business myself and have a very successful website. We are in top 10s in google for all primary keywords and till today we have not had a customer whom we didn't tell that we were not the original designers. We even put the declaimer under each item saying that we are copying designer dress and it might not look 100% same as shown in picture. Customers are ok with it. Many occasions customers show us designer's outfits that they want to have copied for cheaper. From a manufacturer's point of view what should we do if buyer wants cheaper price and they are ok with replica's? I agree with you - very annoying! I've had it done to my designs in the past - and its horrible to see your hard work being copied. But I think that the shops that offer made to measure outfits here in the UK are very often over priced.. so from a consumers point of view - and in this climate - I can see why they would have a following. Everyone is looking for a beautiful outfit for a bargain. This is a start, check out some other web sites as well you have a great knowledge now to identify !! You are a mature blogger now, who can differentiate between right and wrong!! People who want to sell cheep products, or counterfeit fashion, they have every right to do a business but at least do not list designer picture on their sites to misslead!! Consumer don't read small prints, they just see a pretty picture and think that is your work! When you design an outfit with right colour combinations and by the time you have a proper photo shoot done then tell the world that you still can produce cheaply. Stealing is bad, no matter what? totally agree with anonymous above, the designer has spent money on their photoshoot - paying a photographer, make-up artist, models, stylists etc. to create those beautiful images which showcase their work. It's not fair for someone else to come and use these images to sell their versions of the outfits. If you really can make a decent copy of an outfit why not showcase your own work instead? what a great topic, FB is jammed packed with these groups, same problem singer and film-makers have with downloading, but this does seem to get the same attention, well it does when it comes to rip offs on eBay, but maybe not Asian fashion.. just goes to show how, brazen some people are, I get stress out, about making sure I give people credit for images I use and here we have hundreds of people making money from others. But I do agree that if retailers here, made prices more affordable then shoppers wouldn’t be so inclined to look else wear. Ps I went to bargello and very quickly saw a suit I liked and thought it looked familiar...Same picture as the one on threadsandmotifs website!! You make a VERY good point and I totally agree with you. I've been involved in working with some VERY prominent Green St/Southall names over the last 10 years and its amazing how many people pass on work as their own. It absolutely riles me, especially when there is absolutely no credit whatsoever and to run salt into the wound, they link the images directly form your website.....another expense these designers have to pay for. If any young budding designers out there are listening, DON'T COPY, its not worth it! Sadly I doubt anyone will bother taking much notice. I don't see the problem. This happens all the time to high end fashion designers, with copycats ending up in high street stores within days of the real thing being on the catwalk. If it happens in mainstream fashion why not in Asian fashion? Fair enough the designer has come up with the design, paid for the models, and the make up and photoshoot, but they make up for it by charging an extortionate amount on the price tag - fact. And they sell hundreds of these items so the money is made up in next to no time, so although they will lose out because someone else is copying their designs, they are still making a fair bit of profit themselves. I have been to Pakistan and tailors keep the latest fashion magazines with cutouts of all the designs. It used to be that you would take your own design and they would make it from there, but now they have clicked on that they can let the designers do the hard work and they can reap the awards. Although it was a copycat I was more than happy with the work and the price tag, no way could I afford the original, which was twice, maybe three times what was reasonable for the work. Designers may charge what they think is fair for the work they create, but they have to accept not everyone can afford their crazy pricetags and if they can they WILL go elsewhere and get it made for cheaper. I'm writing this as a designer and retailer with a boutique in Bradford, but these views are simply from my own experience. you mention that designers have crazy price tags, but then you have to realise that when they design, they're very specific in what materials they use, and usually theyre of the best quality. having an outfit made in Swarovski isnt the same as using plastic imitation crystals, so although the look might be somewhat similar to an untrained eye, the price is reflected on what goes into the outfit. The same principle idea affects the design of the embroideries, the finishings of a good quality garment and one which might only be worn once or twice. Additionally, there are very few Tarun Talihanis and JJ Valayas in the world, who can survive their designs being imitated, the rest of us are hit much worse when someone creates a knock-off version of our designs: we still have to pay overheads at our workshops to maintain the quality our clients are used to. as a designer and retailer, i've often found that people come to us with images from magazines, saying they'd like a particular dress, and as a rule of thumb, my staff and i would always send these clients to see the original outfit first, even at the cost of losing a sale. we've found that magazine images show a single side only of any outfit, with no idea of movement or detailing, or how it would look on a normal person who doesnt have a model's shape or features. Essentially it still comes down to consumer awareness, they find that the advertisees are the only brands which appeal to them, and focus on these. If you give them a choice of ten outfits and ask them to pick one, they'd forget that theres a whole industry out there at their behest and taking, which is why this blog opens up so many more doors for people. don't you all think the problem is more about the use of images! fiz has a point, the catwalk clothes are on the high street within days, because as with any kind of designer fashion not everyone can afford it, but the difference is you don't see topshop with the catwalk image with their name just plastered all over it, top designer are used as inspiration which in this case isnt happening..